Here at Fire Factory, we didn’t want to produce another cheap ball shell. We wanted to produce the best ball shell possible. 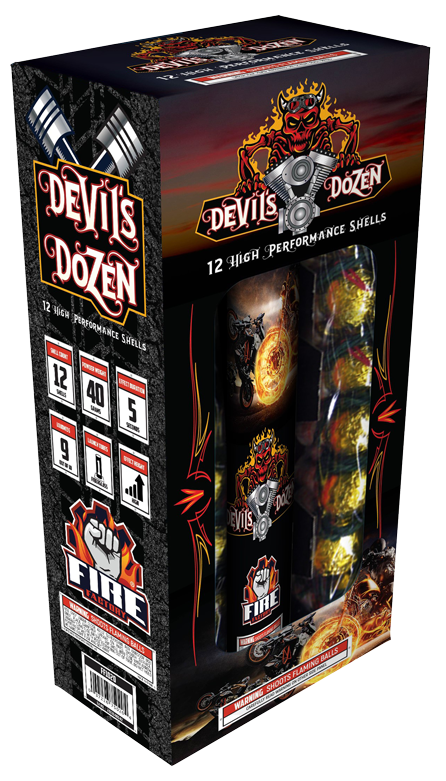 Devil’s Dozen is the best of the best. These 12 shells have great lift, color, effects, and a phenomenal burst. These are a must-have for any back yard show.